The MATRIX Advisory Board consists of the following senior mathematical scientists and industry representatives. Tony holds a Personal Chair in mathematics at The University of Melbourne. He was the Interim Director of the Australian Mathematical Sciences Institute at the time of its creation. Research Interests: Tony’s research interests are in equilibrium statistical mechanics in general, and more particularly in discrete models of phase transitions. As these are often equivalent to a combinatorial problem, he is equally interested in the relevant combinatorics, and the connection between the two. Additionally, he is regularly looking for new ways to count the underlying graphs efficiently leading to a study of algorithmic complexity. Mark is the Head of Investment Risk at Victorian Funds Management Corporation (VFMC) and an Adjunct Associate Professor at Monash University in the Centre for Quantitative Finance and Investment Strategies. Previously, he was the global head of FICC Structuring at National Australia Bank for over 7 years, leading the team that provided tailored derivatives to financial institutions and large corporate clients. He has over 14 years’ financial markets experience in Australia and the UK, across both Front Office and quantitative Market Risk roles. He obtained a PhD in Mathematics at the Max Planck Institute / Free University Berlin and has bachelor degrees in Law and Science (both with Honours) from Monash University. Hélène is the Deputy Director of the Mathematical Sciences Research Institute, a position she has held since July 1, 2008. As Deputy Director, she is in charge of overseeing all scientific activities at the Institute. She received the Wexler Award (ASU) for distinguished teaching, and 4 doctoral and 8 master students completed their degree under her direction. She has held visiting positions at numerous universities and research institutes around the world. Research Interests: Hélène’s research interests lie in algebraic combinatorics; more specifically, combinatorial representation theory and homotopy theories in relation to subspace arrangements. Peter is a Professor of Mathematics and Theoretical Physics at the Australian National University in Canberra. He is currently the director of the Mathematical Sciences Institute at the ANU. He has served both on the ARC College of Experts and the ARC ERA Research Evaluations Committee. Research Interests: Peter is a Mathematical Physicist. His research interests center around the mathematical foundations of String Theory, Quantum Field Theory and Condensed Matter Theory. Jan is co-Director of MATRIX and Head of the School of Mathematics and Statistics at the University of Melbourne. He is also Chief Investigator of the ARC Centre of Excellence for Mathematical and Statistical Frontiers. Research Interests: Jan’s main research areas are mathematical physics, statistical mechanics, interacting particle systems, solvable lattice models, representation theory and multivariable polynomials. He also studies applications of stochastic particle systems to real world traffic modelling. Joe has been Head of School at the University of Queensland since May, 2014, having served as Head of Mathematics from January 2010 until April 2014. Research Interests: Joe’s research is mainly in geometric and nonlinear analysis, in particular in geometric evolution equations. In recent years he has also become involved in a number of more applied projects. Philip is the Head of the School of Mathematical Sciences at Monash University. Research Interests: Philip’s main research area is Applied Mathematics, in particular nonlinear hydrodynamic stability theory, computational fluid dynamics, boundary layer control, convection, lubrication theory, chaotic fluid motion, geomorphology of rivers, coherent structures in high Reynolds number flows. Iain is Professor in the Departments of Statistics and Biomedical Data Science at Stanford. Research Interests: Iain’s research interests lie in statistics, in particular around high dimensional data, random matrix methods, decision theory and wavelet methods. Aleks is the Deputy Dean, Faculty of Science at the University of Melbourne. Research Interests: Aleks’ research areas include: integrable systems, mathematical physics, enumerative combinatorics, and statistical mechanics. Cheryl is Professor of Mathematics at the University of Western Australia. She is also the Foreign Secretary of the Australian Academy of Science (2014-2018). 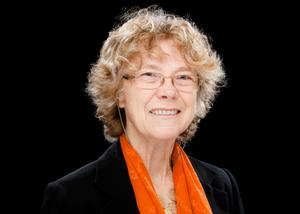 She is a former ARC Federation Fellow and was the inaugural Director of the UWA Centre for the Mathematics of Symmetry and Computation. Research Interests: Cheryl’s research has focussed on the theory of group actions and their applications in Algebraic Graph Theory and for Combinatorial Designs; and algorithms for group computation including questions in statistical group theory and algorithmic complexity. Geoff has been the Director of the Australian Mathematical Sciences Institute (AMSI) since 2009. 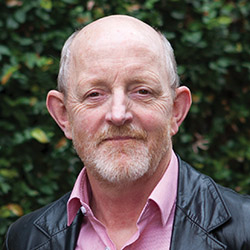 Geoff has a long academic career as a teacher and researcher at RMIT, the University of New England and La Trobe University where he was Head of Department. Research Interests: Geoff works in differential geometry, differential equations and their application. Kate Smith-Miles is a Professor of Applied Mathematics in the School of Mathematics and Statistics at The University of Melbourne, and holds a five year Laureate Fellowship from the Australian Research Council. She is also President of the Australian Mathematical Society, and a member of the Australian Research Council College of Experts from 2017-2019. 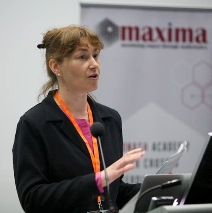 Prior to joining The University of Melbourne in September 2017, she was Professor of Applied Mathematics at Monash University, where she was also Head of the School of Mathematical Sciences (2009-2014), and inaugural Director of the Monash Academy for Cross & Interdisciplinary Mathematical Applications (MAXIMA) from 2013-2017. She was also previously Head of the School of Engineering and Information Technology at Deakin University (2006-2009) with a Chair in Engineering. She obtained her first Professorship in Information Technology at Monash University, where she worked from 1996-2006. Professorships in three disciplines (mathematics, engineering, and information technology) has given her an interdisciplinary breadth reflected in much of her research. Research Interests: Kate has published 2 books on neural networks and data mining, and over 230 refereed journal and international conference papers in the areas of neural networks, optimisation, data mining, and various applied mathematics topics. Peter is an Australian Laureate Fellow and Director of ACEMS. Research Interests: Peter’s research interests lie in the fields of stochastic modelling and applied probability, with particular emphasis on applications in telecommunications, biological modelling, mechanism design, epidemiology, healthcare and disaster management. Recently he has become interested in the interaction of stochastic modelling with optimisation and optimal control under conditions of uncertainty. Ruth is a Distinguished Professor of Mathematics at the University of California, San Diego. She holds the Charles Lee Powell Chair in Mathematics I. She is an elected member of the US National Academy of Sciences and of the American Academy of Arts and Sciences. She served as President of the Institute of Mathematical Statistics in 2012. Ruth studied Mathematics at the University of Melbourne where she earned her B. Sc. (Hons) and M.Sc. degrees in 1977 and 1979, respectively. She received her Ph.D. in Mathematics from Stanford University in 1983. She had a postdoc at Courant Institute before joining UCSD. Research Interests: Ruth’s research interests are in probability theory, stochastic processes and their applications. Her current research is concerned with the analysis and control of stochastic networks which arise in applications such as high-tech manufacturing, telecommunications, computer systems, service systems and biochemical reaction networks. David is co-Director of MATRIX, and Professor in the Discrete Mathematics Research Group of the School of Mathematical Sciences at Monash University in Melbourne, Australia. Research Interests: David’s research interests are in discrete mathematics and theoretical computer science, especially structural graph theory, extremal graph theory, geometric graph theory, graph colouring, and combinatorial geometry. Research Interests: Gregoire’s research interests are in Non Linear PDE’s, Stochastic Control, Mathematical Finance, Fluid Mechanics, Optimal Transport. Bruce is the Head of the School of Mathematics and Statistics at UNSW, Sydney, and currently Deputy Chair of the Australian Council for Heads of Mathematical Sciences. Research Interests: Bruce’s research interests are in continuous time random walks, anomalous diffusion, fractional calculus, pattern formation, applications of chaos and fractals, mathematical modelling, nonlinear lattice dynamics and statistical mechanics.